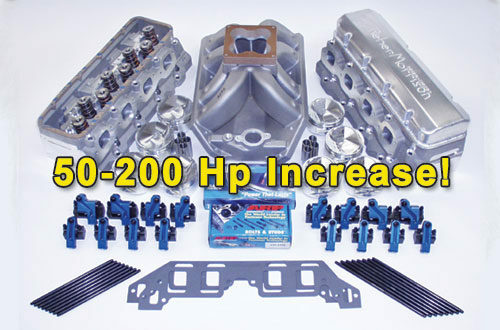 Looking to take your Big Block Chevy racing engine to the next performance level? 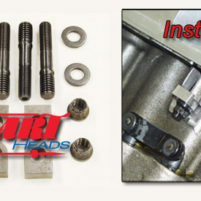 The Reher-Morrison Spread Port Head Conversion Kit is the answer! 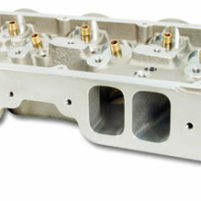 Convert your Big Block Chevy from, a conventional cylinder head, to a more POWERFUL Spread Port Style cylinder head. Reher-Morrison′s Spread Port Cylinder Head Conversion Kits come complete with all the necessary components required to convert your Big Block Chevy engine. 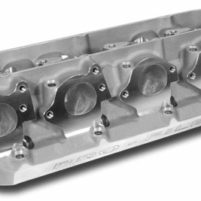 The different levels of Conversion kits start with the 18° Dart Big Chief cylinder heads and end with the awesome Reher-Morrison 12° RAPTOR Oval Spread Port cylinder heads. From the ultimate performance people, come the ultimate Spread Port Style Cylinder Head Conversion Kits. Now is the time to step up to the next level of performance! (1) Call with pushrod measurements after mockup with lash caps. (2) Tunnel Ram Manifold (2X4) with linkage available. (3) 1 or 2 Reversion Plates and Carburetor Spacers depending on C.I.D.